The Honors Application and Questionnaire with all required documents may be submitted electronically or by U.S. Mail. 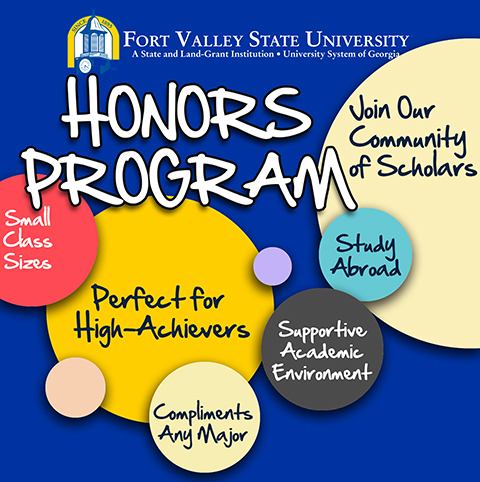 Electronic Application: Submit Honors Application, Questionnaire, and letters of recommendation (by scanning and in PDF format) to the Director of Honors at FVSUHonorsProgram@fvsu.edu. View the Honors Program Eligibility Requirements here: Eligibility Requirements. Questionnaire Please answer each of the following questions to the best of your ability. Applicants are evaluated on the thoroughness of responses. I certify that I completed this application package and that all information provided is true to the best of my knowledge, and that false information could disqualify me from participation in the Honors Program.